Hello Beauties! I hope your all having an amazing weekend! I've been feeling a bit rubbish about my blog recently, and as I'm putting off doing my Uni work this weekend I thought I'd snap a couple of pictures of my make up today. This look was inspired by one of the MAC Fantasy of Flowers Collection adverts, and although that collection has been and gone, there's no reason why you still can't recreate the look if you didn't manage to pick any of the bits up like me! Firstly, I primed my face with the Bourjois Happy Light Matte Primer as the moisturiser I used leaves my face quite shiny and I suffer with an oily T-Zone. I've been using this primer for a few weeks now after picking it up while it was on offer and so far I really like it. After priming my face, I mixed my MAC Studio Fix with my YSL Touche Elcat Foundation, as I didn't want to go for a full matte make up look today, but I still wanted it to stay in place all day. To finish off my base, I applied the Rimmel Wake Me Up Concealer under my eyes and over a couple of pesky blemishes, then topped it all off with the Bourjois Healthy Balance Powder, as this gives a little coverage and mattifies your skin without looking cakey at all. Next I moved on to eyebrows. Today I used the Trish McEvoy Precision Brow Shaper in Natural Brunette. This is by far my favourite eyebrow product as it lets you really control the shape of your brows and leaves you with a natural finish. Next I primed my eyelids with the Urban Decay Primer Potion in Original to intensify the colours and make my shadow last longer. 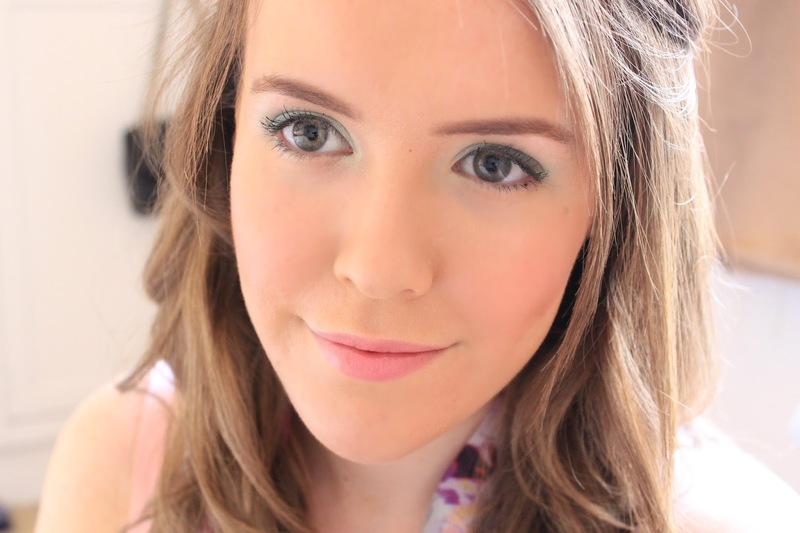 To create the green look, I first used a light green shadow with pearl from a Clarins palette which I got forever ago (sorry I think it was limited edition) but any pastel green shade will do. I then used a darker green shade from my Elf Little Black Book Palette to blend through my crease and outer corners to make the look a little more dramatic and vibrant. Also, this palette is now in the sale, so grab it while you still can at the bargain price of £5! To finish off my eye look, I lined my eyes using Oil Slick eyeshadow by Urban Decay and finished off with lashings of the Bourjois Volume Glamour Curl Mascara. To finish off my face, I quickly dusted off any fall out with my powder brush then contoured using the L'Oreal Glam Bronze Powder. 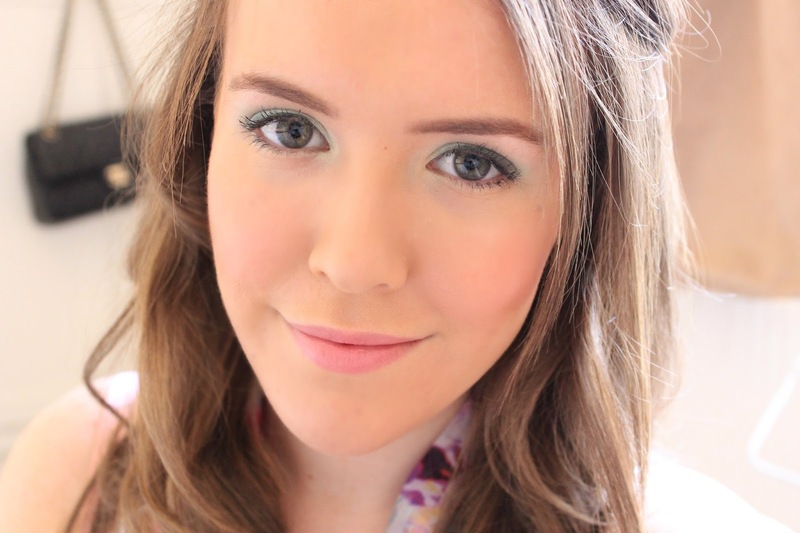 To finish off my cheeks I applied the Tarte Amazonian Clay Blush in Fearless, which is a really pretty rose colour and such a good combination with the green eyes. To complete the whole look, I applied Lovelorn Lipstick by MAC for the perfect pink lip. 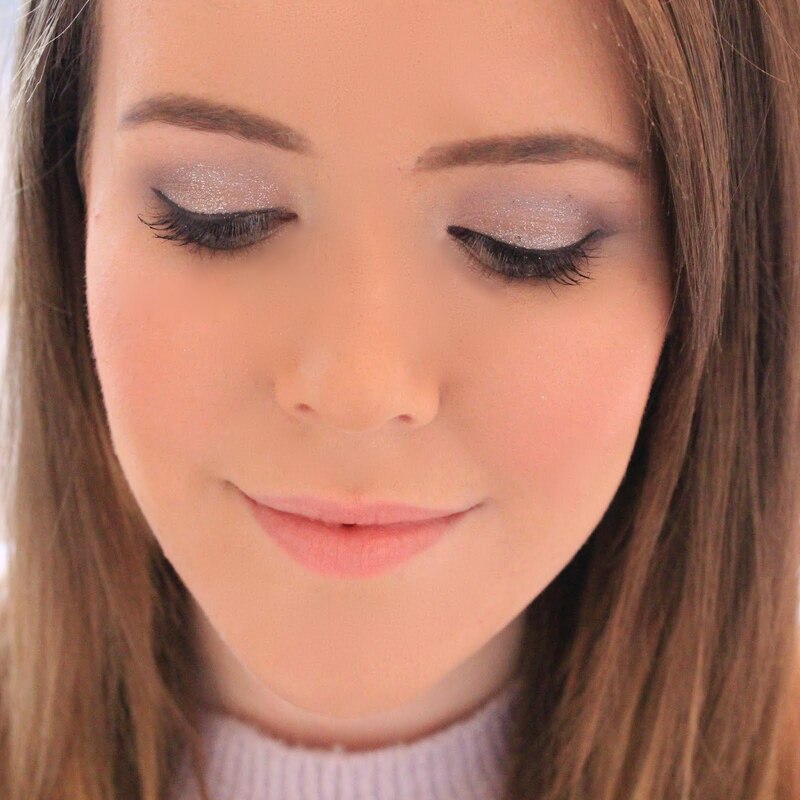 I hope you liked this make up look, and if you would like to see more posts like this then please let me know if I should post more or if I just shouldn't bother! 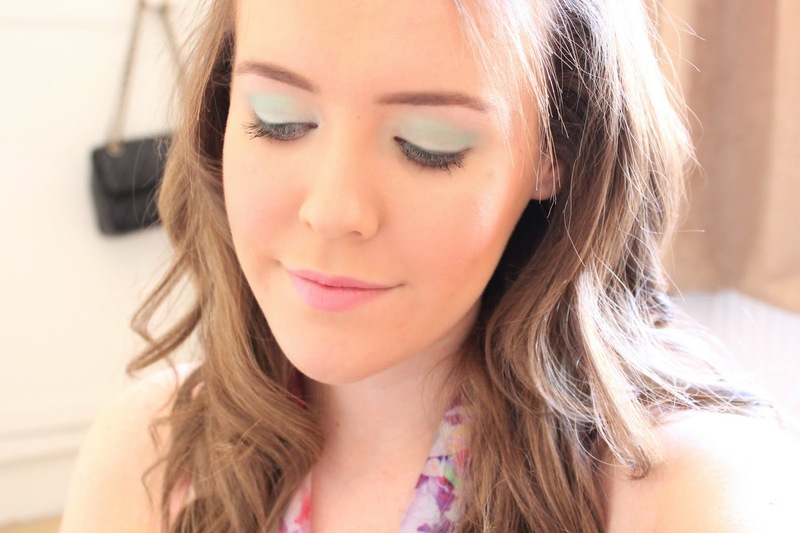 Cute post title :) I've always been a little afraid of eye shadow, especially bold colors, but this look is fab!